Fishing rods might look similar at first glance. But then, the more you research, the more diversified it becomes. There are multiple types of fishing rods, not to mention the best fishing rod brands and their main characteristics. While most newbies focus on fishing clothing and accessories, the truth is, the whole experience actually depends on the actual rod used in fishing. Most specialists recommend going with the top rated brands, rather than choosing a random manufacturer that no one has ever heard of. We totally agree. After researching and testing the fishing rods ourselves, here are the top 5 brands. You can click on your desired brand below to find the best models for spinning, fly and cast rods. Fenwick doesn't need too many presentations among experienced fishermen. It's one of the leading rod manufacturers and among the best fishing rod brands. Why? Simple! It's based on quality. Each of its products comes with durable materials, not to mention the subtle bells and whistles that can make the experience better. 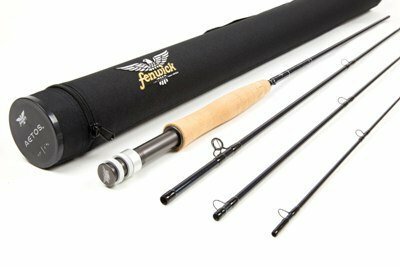 Fenwick fishing rods are likely to support you for ages if properly cared for, so they represent an actual investment into your fishing experience. As for its types of rods, it depends solely on your style and expectations. Available in multiple sizes and weight standards, this spin rod should certainly not miss from your fishing equipment list. When it first came out, it was the only graphite fishing rod on the market. Other manufacturers stole the idea later on too. The new version is reinvented with the latest technologies out there. It features a forgiving action for high line speeds and accuracy, but it also clears effort out. The handle is spiraled with carbon thread for a comfortable use and durability. It guarantees for a perfect grip, even if your hands are wet or sweaty. Its materials make it relatively lightweight – just 3.2 pounds, yet they don't compromise on quality. The guides are made from deep pressed titanium, while the spinning rod carries the Fenwich quality standards. When it comes to the actual size, it's worth noting that this spin rod measures 85x3x3 inches. It's comfortable to hold and carry around. Finally, it makes a good choice for both experienced fishermen and newbies. 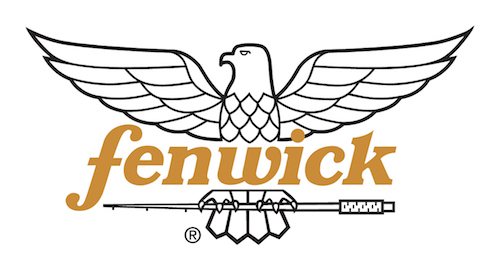 Fenwick's fly rods are some of the best fly fishing rods based on customers' reviews and for some good reasons. This model is designed to be fast. It's available in multiple configurations, yet the 10'-3wt one is the most popular choice among buyers because of its balance. No matter what configuration you choose, each model is made from graphite. The package is complete and brings in everything you might need to use the rod out of the box, but also for maintenance. Apart from the actual rod, you get a storage or transportation bag, as well as a cloth covered tube. Even if you travel by plane, the tube will keep your rod in perfect condition and will prevent scratching and bending. This model barely weighs 2.6 pounds, so it's lightweight and comfortable. Its comfortable profile is also underlined by the AAA grade cork handle, which ensures a secure grip even if your hands are wet. The reel seat is made from aluminum, so it's just as durable. Coming in a few configurations from one of the best fishing rod brands on the market, this casting rod has gained immediate notoriety due to its performance standards as well. It's a graphite rod released years ago, but upgraded with the ultimate technologies. You get plenty of action, as well as comfort and high line speeds. When it comes to its actual construction, the blanks are spiraled with carbon thread for durability and lightweight. Carbon adds to the accuracy too. The handle guarantees for a perfect grip. It's a TAC handle, so it's more solid than cork. Your grip won't suffer even if your hands are covered in fish slime. As for the guides, they're made from deep pressed titanium. 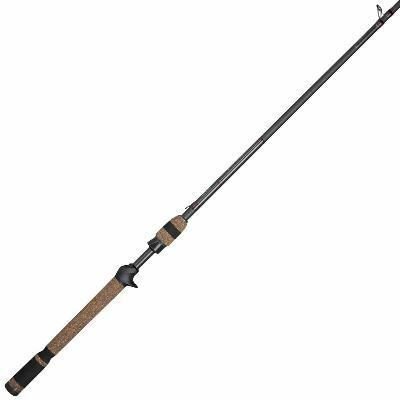 The rod is rated to have a medium power, but a fast speed. It features Fuji reel seats and weighs around 3 pounds. St. Croix may not be the most diversified manufacturer out there, but it's certainly among the best fishing rod brands. From some points of view, it can be seen as a traditional, yet posh manufacturer. Basically, its products carry the basic features – no bells, no whistles and no futuristic features. However, these simple features are literally taken to a new level. 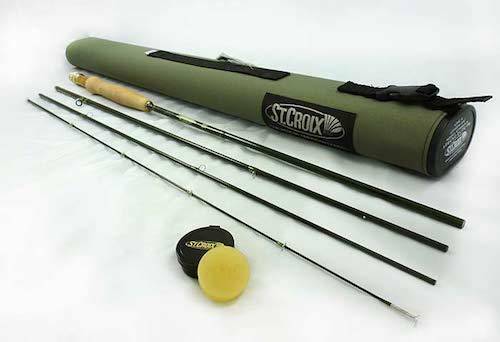 Most rods from St. Croix are usually preferred by more advanced users, yet they make great choices for beginners who want to up their game as well. You can't overlook St. Croix when looking for the best fishing rod in the world. It comes in so many configurations that you'll feel confused. Think about the weight you expect, as well as the speed. The ultra light and fast combo is probably the most popular one. No matter which option you choose, you'll benefit from premium quality SCII graphite and finely tuned actions and tapers. The rod is, therefore, incredibly well balanced. It comes with Kigan Master Hand 3D guides. They feature slim rings and black frames. The rings are made from powerful aluminum oxide that can pass the test of time. It's also worth noting that the rod is made in the USA. In other words, it has to pass the strict resolutions of this market. This model can be used in more types of water and for multiple types of fish. Obviously, with so many interesting features that this rod has to offer, it is hard to deny that this is our most favourite among the best spinning rods. There are a few different options to choose from when selecting this fly rod. 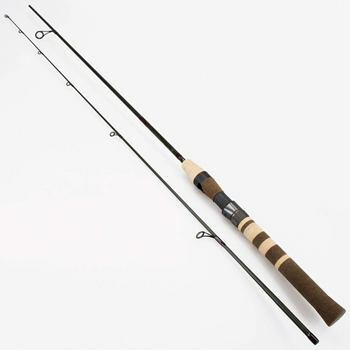 Coming from one of the best fishing rod brands for freshwater, it features more sizes, as well as more tension levels. The 5.4 tension is the lower and one of the common choices. As for the maximum supported tension, you can go up to 10.4. The popular fly rod features a series of technologies to improve your experience. The IPC (integrated Poly Curve) relates to the manufacturer's tooling procedures. The same goes for the ART (Advanced Reinforcing Technology). Both of them are self-explanatory and come to enhance the construction, strength and flexibility of this rod. When it comes to the actual construction, this rod is made from high modulus SCVI graphite. It might be lightweight and easy to maneuver, but its strength will be impressive. Prefer a hard carry case over a soft one. St Croix Triumph casting rods has been our no 1 on our Best Casting Rods list. You simply cannot overlook St. Croix when hunting the best fishing rod brands and especially for casting rods. Despite their simplicity, they won't let you down. They're available in just a few sizes – 78 and 84 inches. The same goes for the supported tension – medium-heavy/fast and medium/fast. The first option seems to be more popular these days. Just like most rods from St. Croix, this one is made from high quality SCII graphite – lightweight, durable and supportive. Its strength is impressive for the sensitivity it comes with. In terms of performance, fishing enthusiasts can count on quality actions and tapers. They are deeply tuned in small details for a top-notch performance. The premium handle is made from cork. Not only is it durable, but it will ensure a good grip even if your hands are wet or greasy. As for the guides, they're made from hard aluminum oxide and they feature black frames. Often advertised to be a luxurious manufacturer, G. Loomis is also rated one of the best fishing rod brands on the market for a series of reasons. It may not provide too many products, but the available models are made from quality materials and come with a perfect ratio for weight and balance. They're available in multiple configurations though, so there's something for everyone. G. Loomis is mostly targeted at more experienced fishermen. 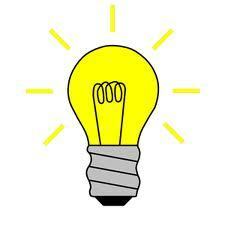 However, newbies may also benefit from its products if they're truly dedicated to this activity. Designed specifically for fishes mentioned. The spinning rods from G. Loomis are mostly advertised for trout and panfish. They were specifically designed for such fish, so they come with particular features. However, they're quite versatile, so you can use them for other species as well. In terms of performance, they won't let you down. This model is made from a patented GLX and fiber blend for extra capabilities. Originally, the rods were made from two pieces. Transportation was easier and more convenient when you could disassemble the unit. G. Loomis changed the configuration in 2010, so most new parts are made from one piece. The reason is pretty obvious – lighter profiles add to the performance. Besides, you can find lots of protective hard cases for rods these days, so transportation is no longer a problem. All in all, these spin rods come with fast tips for extra control, Recoil guides, grips made from oam and cork, as well as a locking reel seat. Coming in a few different colors and lots of sizing configurations, it's literally impossible to fail in finding the perfect fishing rods from G. Loomis. 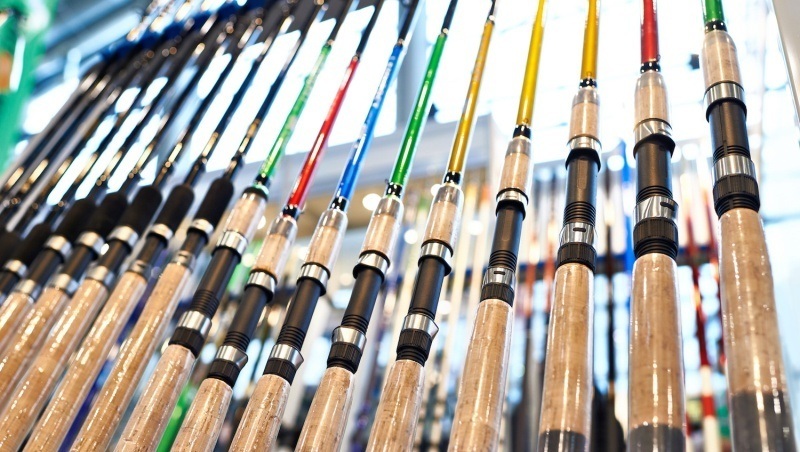 Believe it or not, some of its fly fishing rods are commonly used in various competitions. Why? They're delicate and sleek, yet they're extremely sturdy and powerful. In other words, they make good choices for stylish presentations. The action is soft and smooth, while the medium taper boosts your comfort. Even if you're not too experienced, you'll find casting quite smooth and accurate. The new generation of this rod is said to feel like a feather. After all, it only weighs a pound. Its uses are a bit limited though, as it's mostly recommended for fishing small to medium dry flies. Finally, true tracking is excellent for easy casts. 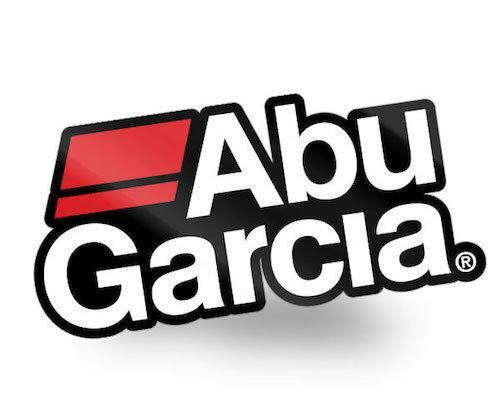 Abu Garcia is all about value for money. It's one of the best fishing rod manufacturers due to providing quality features at an affordable price. Simply put, it can compete against the top players on the market in terms of performance and premium features. But when it comes to the price tag, its product can be up to two times cheaper. Other than that, you'll be surprised to find a decently sized portfolio of professional rods, whether it comes to spinning or casting rods. Obviously, they come in a series of configurations for a customized fishing experience. Ranging between 82 and 90 inches in length (weight proportional with length), Abu Garcia's top spinning rods are built to deliver. Not only do they look sleek, but they also feature some impressive features. It might be a standard in this industry these days, but the rods are made from graphite – not any type of graphite, but 36 ton graphite. It's lightweight and properly balanced. Looking for comfort and stability? Consider it done! 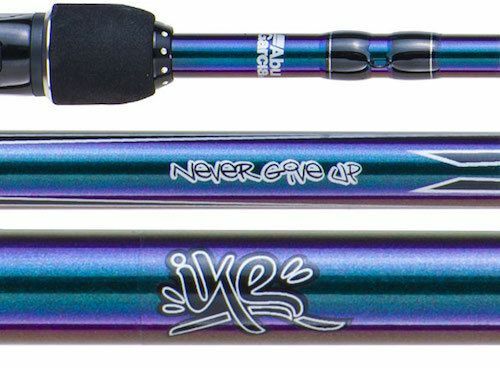 The rod goes a bit off track and stands out in the crowd with its stainless steel guides. They're lightweight and likely to last forever. Furthermore, they feature zirconium inserts. It's not about luxury, but about sturdiness and durability. The rod is part of a collection of 15 different models. They all carry the same quality standards. As for their design and style, they're based on Mike Iaconelli's cosmetic recommendations. Abu Garcia's leading casting rod is suitable for all bait applications. It's a general rod that will up anyone's game. Whether you're a complete newbie or an experienced user, you'll notice a different right away. Just like most rods from Abu Garcia, this one's made from graphite. It has a lightweight profile, but it's also stable and sturdy. After all, the graphite is premium at 30 ton. Durability and sensitivity are given by the high density EVA. When it comes to the actual connection and tension resistance, Abu Garcia won't let you down. It relies on an aluminum screw down hood for extra security. The guides are made from stainless steel and come with zirconium inserts. When it comes to its diversity, you have three configurations – 75, 78 and 87 inches. 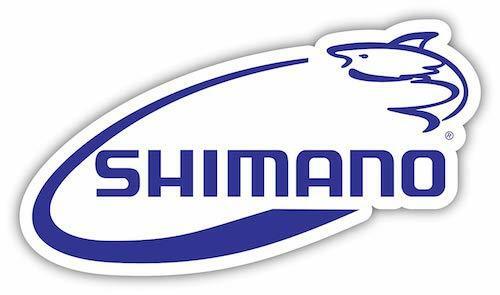 Shimano might be more popular among cyclists, yet it has successfully become one of the widely appreciated fishing rod brand names on the market. Why? Pretty simple! Its products are somewhere in the middle range based on price, but the quality standards and materials put them on top of the competition. Whether it comes to casting or spinning rods, you'll have more configurations designed with the same goal in mind – indubitable performance. Shimano's casting rods come in a series of sizes and configurations – from 68 to 84 inches. Obviously, the weight is directly proportional with the length. Most rods weigh around a pound. They feature a solid TC4 construction and carry the Fuji quality standards. Simply put, you have Fuji guides, as well as Fuji reel seats. The guides are quite different when compared to the competition, only because Shimano has developed a different concept for more performance. The EVA handles guarantee for a solid grip, even if your hands are wet or greasy. Also, the rear handle design is shaved. It's not perfectly round, but slightly oval. It has flat sides facing each other and won't put any pressure on your hands. You can fish the whole day and you won't feel any pain at all. 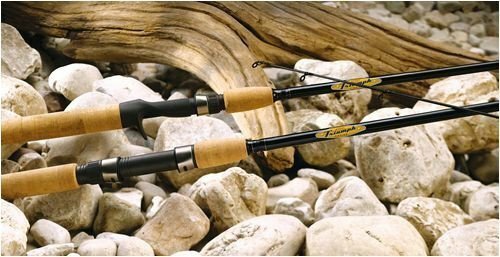 Shimano's spinning rods vary in both size and price, but no matter what you choose, you'll still benefit from great value for money. 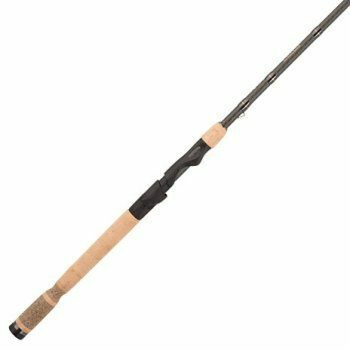 The manufacturer has introduced a professional TC4 construction in its latest series and this rod makes no exception either. It's built to be flexible and stable, but still sturdy and solid. Sizes vary between 68 and 84 inches. The weight will slightly vary as well. However, most of Shimano's rods are so lightweight you'll feel like fishing with a feather. Sticking to a limited amount of brands for parts is yet another common characteristic of Shimano. The reel seats carry the Fuji quality standards. The same goes for the Fuji guides. The guides have been upgraded and come with a new concept. In terms of comfort while handling fish, the EVA handle will make your life easier. We strongly advise you to understand the difference between fly fishing and spin fishing before jumping straight into buying well-knows fishing rod brands. This way, you will not regret buying the expensive rod later. As a short final conclusion, these are the best fishing rod brands on the market at the moment. They're well established, which means they do have the finances to provide quality and invest in professional research and market studies. Each of the above mentioned products is rated over 4 out of 5 stars. Most buyers find them perfect or almost perfect. Make sure you know what you expect from this industry, do your homework and there will be no chance of any disappointment. Now, click on your favourite brand and start fishing!